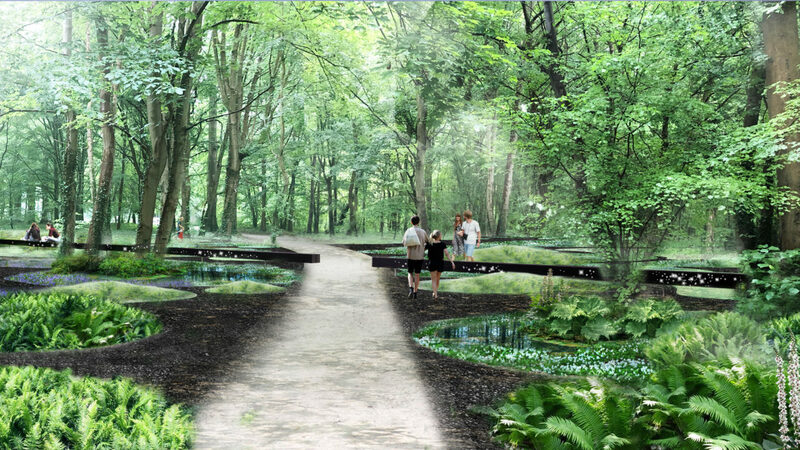 In the Compiègne forest, the Armistice Glade is an important site of the First World War. On the 11thNovember 1918 the armistice was signed in a railway carriage, which has since become world famous. 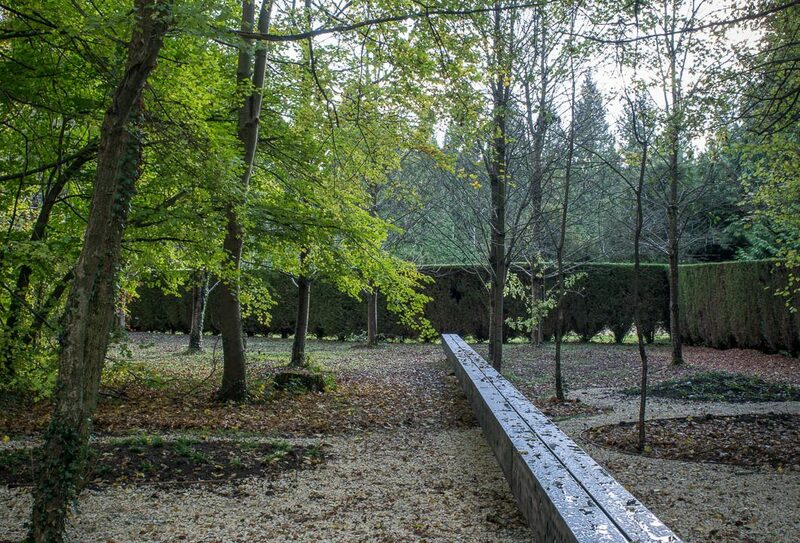 The Garden of the Third Train was designed by landscape gardener Marc Blume, artist Gilles Brusset and architect Francesca Liggieri. 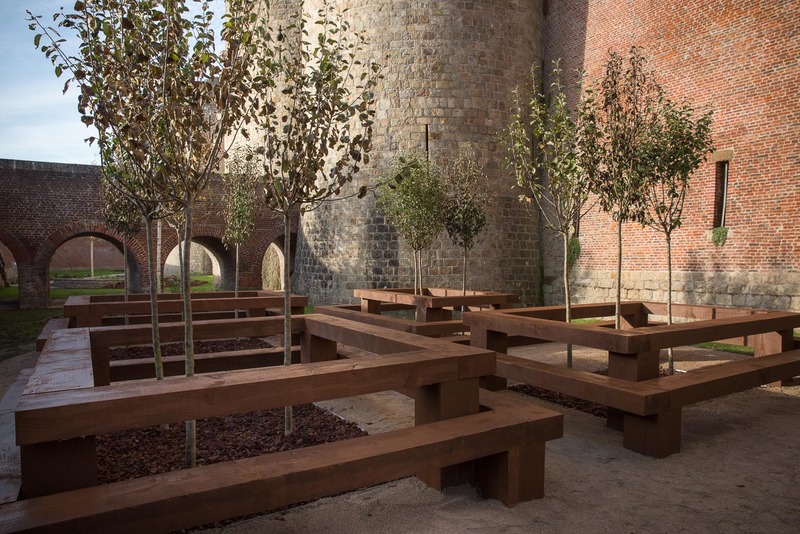 This Franco-German team has landscaped the pathway that leads from the car park to the clearing, making it a memorable access to the site. 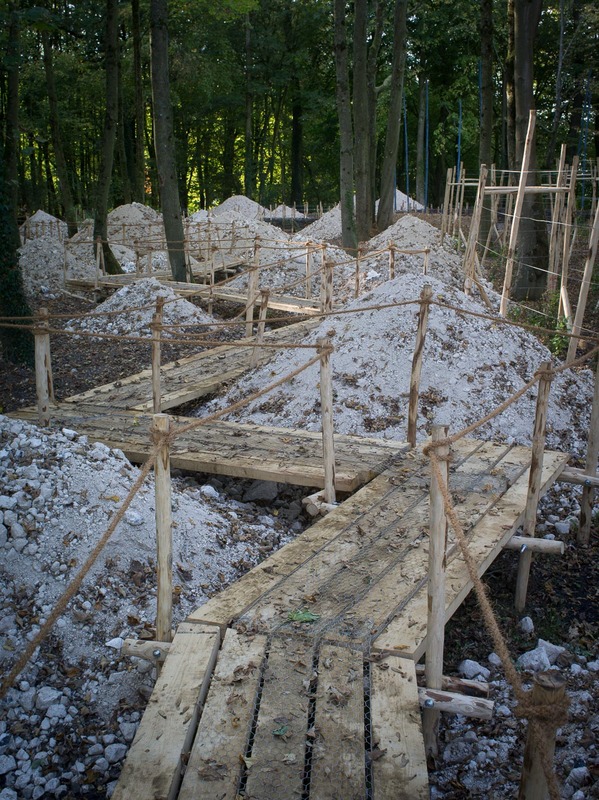 Beneath the undergrowth, the three designers have made a symbolic representation of the trench layout of the Great War like the filaments of the mycelian network which can be found on the forest floor. In a similar way the paths of the garden progress in a sinuous form under the foliage, separating the cultivated areas in which the wooded parts are highlighted. This network of paths is an invitation to discover the undergrowth. There is also a long low bench, which encourages contemplation; it has dozens of mirrors attached to it and its horizontal crosses the shaded place, this reflects the sky and the foliage in the image of a third train, the train of peace. The German landscape architect Marc Blume was born in 1976 in Leonberg (Germany), the French artist Gilles Brusset was born in Paris in 1975 and the Italian architect Francesca Liggieri was born in 1979 in Rome (Italy). They live and work very close to each other in the Belleville district of Paris. They have been designing and producing artistic and landscape projects together for several years in France and abroad.